When facing legal issues that impact your family’s future, it’s easy to become confused and frustrated. Fortunately, you do not have to face these issues alone. 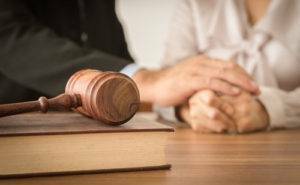 By retaining a New Jersey family law attorney, you can explore your legal with the guidance of an attorney. Tanya L. Freeman is committed to helping families find resolutions to a wide range of legal matters, including divorce, child custody and child support, and alimony. Divorce: Tanya L. Freeman takes a comprehensive approach to divorce representation designed to help you navigate the legal process as painlessly as possible. Throughout your divorce proceedings, our attorneys offer the strategic guidance you need to make informed decisions at every step. Whether you are undergoing a contentious divorce or a more amicable one, Tanya L. Freeman will work to help move you forward. Child custody and visitation: One of the top priorities of divorcing parents is child custody and visitation. When attempting to provide your children with a safe and healthy environment, it is important to set realistic expectations and keep their best interests in mind. Tanya L. Freeman can offer the support you need to understand your legal options, and work to ensure that your voice is heard on all matters relating to your children. Child support: The question of child support is often difficult to deal with, especially when your former spouse is fighting to avoid his or her financial responsibilities. Fortunately, New Jersey state law provides guidance in determining child support payments, helping to reduce some of the frustration and uncertainty in determining the appropriate level of support. Alimony: Alimony is a fact sensitive inquiry that involves the application of several statutory factors to your case. Tanya L. Freeman can provide guidance to divorcing clients in cases involving an alimony claim. Domestic Violence: A victim of domestic violence may pursue an emergency protective order. The judge may include provisions that keep the alleged perpetrator from returning to the premises. Contact domestic violence Attorney Tanya L. Freeman for dedicated representation. Whatever your specific family law issues may be, Tanya L. Freeman will make every effort to shoulder your legal burdens while provide guidance to you every step of the way. Tanya L. Freeman and her team of New Jersey family law attorneys understand how difficult it is to deal with legal issues that impact your family. We know how important it is to resolve these issues quickly and effectively, and take great care to address every detail of your family’s legal concerns. Schedule a consultation in our Parsippany, Jersey City, or Red Bank office today.